Learning about why people fail is one of the best ways to prepare to avoid failure. Here, a pharmacy student in his last year of school provides perspective on five reasons why people fail in pharmacy school. With required topics such as pharmacology, pharmacotherapy, and pharmacokinetics, there can be no doubt that pharmacy school is hard. According to the American Associations of Colleges of Pharmacy it is estimated that more than 10% of people who make it into pharmacy school do not make it through to graduation day . For many people being a pharmacy student is less about getting straight A’s than it is about striving for success while trying to avoid failure. This is one reason the sayings “C’s get degrees” and “C for PharmD” circulate amongst pharmacy students. No matter what your grades end up being, as long as you pass and graduate from an accredited pharmacy school, you will have taken that step towards being eligible for pharmacy licensing examinations to become a practicing pharmacist. Literature on the topic of failure in pharmacy school is limited, however from reviewing a number of articles published in the American Journal of Pharmaceutical Education, it seems evident that people fail in pharmacy school for a variety of reasons and every case is unique. As an undergraduate student there were times when I failed and I even took a year off after life’s stressors caused me to hit a proverbial speed bump. In this instance failure made me feel regret, but it also turned out to be a blessing in disguise. I now see that without this experience with failure, I would not have found the motivation to pursue becoming a pharmacist. So, even though we all try to avoid failure, it is not always a bad thing in the end. As a pharmacy student I have been fortunate not to fail in a big way thus far, but I have seen many classmates face failure. Seeing others struggle or fail at tasks is not pleasurable, however it frequently offers excellent learning opportunities on how to avoid the pitfalls others have found themselves being effected by. 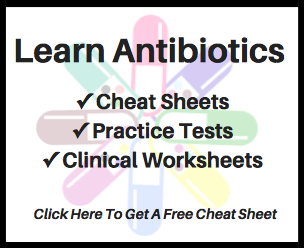 I have certainly identified things to take note of and it has helped me to avoid failure as a pharmacy student thus far. To help others see how NOT to fail in pharmacy school, I offer perspective from my experience as a pharmacy student. 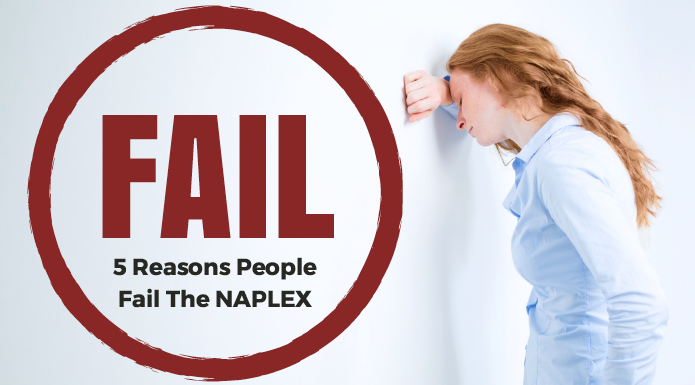 Here are five reasons why people fail in pharmacy school. Any scenario or mixture of factors can substantially impact a person’s academic performance. Being able to manage your stressors as a pharmacy student is very important. If prior to pharmacy school you feel that you have a poor handle on the stressors in your life, then it is worth considering whether or not waiting and getting to a better place is something worth doing. Not that you need to go into pharmacy school with a totally clean slate, but to make your life more manageable it may be worth taking time for other tasks prior to jumping into the commitments that come with being a pharmacy student. For pharmacy students, I recommend a strategic approach for handling stressors in your life and with school. A big part of strategizing for reducing stressors is time management. If you are not familiar with time management prior to pharmacy school, have no doubt that this topic will become majorly important in your life once entering a program. Also related to this topic, one comment a professor said on the first day of pharmacy school that resonated with me was: “Keep working to no more than 10 hours per week.” I know working extra shifts to offset the amount of money needed to be borrowed via student loans seems like a great plan, but working too much can cause major issues. Pharmacy school is an investment too, so be careful about how far you push your luck and your ability to balance life, school, and work. It sounds simple enough: do not cheat. However, when passing is a requirement and failing means you will possibly be held back an entire year, it is enough to make some people think irrationally and do things they normally would not. People cheat in pharmacy school and get away with it. People also cheat in pharmacy school and then get kicked out of the program after being caught. When any thought of cheating arises, there should be one answer to this thought: do not do it! Studying methods that worked in undergraduate may not work in pharmacy school. In fact, I can pretty much promise you that they will not be sufficient for pharmacy school. We all develop our own learning styles and during undergraduate courses mine (like many others) was cramming information followed by regurgitation for the exam. This style of studying frequent leads to a limited ability to retain things long-term. Knowing this about my learning style I knew I had to redefine my studying methodologies for pharmacy school. After having identified that this part of my educational path would build the foundation for my professional career, I wanted to take serious steps to ensure I was trying to become the best pharmacist I could be. After all, I did not get the best grades in undergraduate. In fact, I probably had one of the lowest grade point averages when applying to pharmacy school! Fast forward to the present and I am proud to be in the top of my class. This success has not been the result of being more intelligent than others. I credit it rather to the effort I have put into finding new ways to study and learn. My suggestion is to actively seek out the studying methods that best work for you. This takes research, trial, and error. One example of a strategy that can work is to literally pretend to be teaching someone else the material by speaking out loud to yourself. It may seem goofy, but it works for me. After all, the well-known teaching philosophy of “learn one, do one, teach one” exists for a reason! In pharmacy school it is not about studying for an exam, it is about studying for an exam AND for life as a future pharmacist. This requires a variety of study techniques. Some new pharmacy students have a good handle on what the demands of pharmacy school are, while others do not. Being prepared for a new environment with different standards is necessary to be successful in pharmacy school. I can recall times when I felt overwhelmed by the studying and extracurricular activities that came with pharmacy school. Looking back, my advice is to embrace it as a challenge while pushing forward cautiously. If pharmacy school becomes too demanding there are ways to try to cope. Joining study groups, obtaining a tutor, or discussing your struggles with a professor can all be options. In addition, things like exercise and hobbies can have a positive impact on your capacity to navigate the demands of pharmacy school. With online schools and video technology becoming more popular, students can now be given the option to sometimes skip class and not be penalized. My school currently uses video technology that allows us to miss classes and re-watch lecture videos later. This is favorable when you need to miss class because of a doctor’s appointment or other high-priority activity, however missing out on the live content can have major impact on examination performance. I knew students in my class that liked staying home because they could watch lecture videos in their pajamas. I felt this was not a very proactive learning strategy. That stated, have I missed class to study or do other activities, but I have also made it up by reviewing the lecture at a later date. My suggestion is to do what is best for your learning style and I strongly recommend to consider attending class as a pharmacy student, even when it is not required. There can be more to going through pharmacy school than “watching TV” of recorded lectures. There is an entire social and professional component that you are missing by not going to class. Whether you are a new or current student, I hope you have found this article helpful. With the many factors at play there can be no doubt that navigating pharmacy school successfully is a challenge, but it is also a something that can be overcome with strategy and planning. Take note of these five things if you want to succeed in pharmacy school and avoid failure. 1. Academic Pharmacy’s Vital Statistics. American Association of Colleges of Pharmacy. Accessed 4 November 2017.